We were approached by a large European moulder of plastic products who had a specific problem. 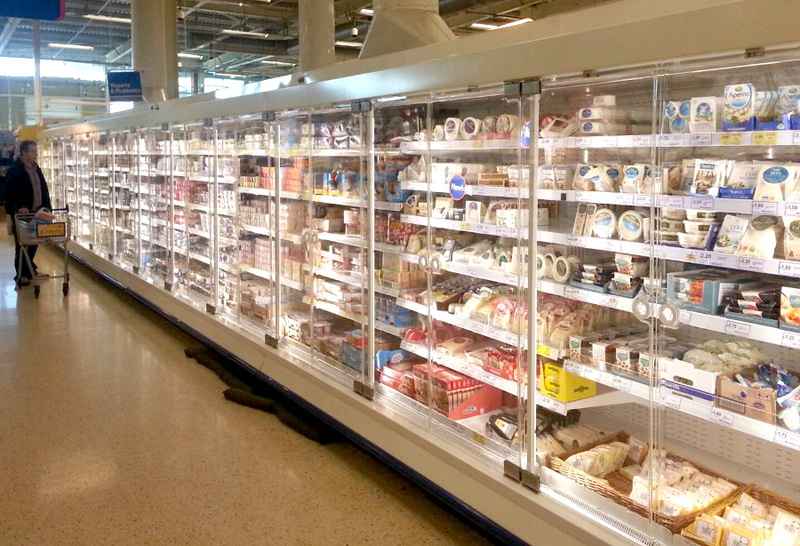 They were in testing phase with a Supermarket chain to supply and install a glass alternative fridge and freezer doors. As well as installing these safety doors to existing freezers, but also to fridge units which were currently open at all times. This alone would give potential energy savings running into the millions of pounds per year throughout UK based stores. Upon original testing, issues soon became apparent with damage to the doors during transit, installation and in use were a common problem. Leaving the doors subject to marks and scratches and not the high end finish the client required. Peerless were asked to provide a solution to both the front and rear of each door, allowing for easier handling and a premium finish. Using our Peeraguard Clear coating, all doors are shipped from Europe to Peerless for coating, before heading to sites for installation. This has resulted in a vast reduction of rejects at installation and also minimising damage during shoppers use and testing. The project is currently in the testing phase throughout stores in the UK and Europe and is due to be rolled out to other stores in the near future.